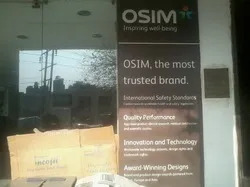 With a vision to sustain in the competitive market, Osim India (A Division Of Paramount Surgimed Limited) incepted in 1993, have established themselves as a reputed Supplier, Wholesaler, Importer and Retailer of high quality Hair and Back massager. We take pride in facilitating wide range of products which includes Foot Massager, Back Massager and Slim Belt under his brand name OSIM. We procure our products from leading manufacturers who formulate these products by using fine quality material and machines. The company works with the constructs of quality, affordable prices and innovation. Apart from this, by integrating high quality standards, transparent dealings, ethical business policies, customer centric approach, wide distribution network and on-time delivery schedules, we have been flourishing in fulfilling the demands of client consequently not only in India but globally. Under the able leadership of our mentor, Mr. Sanjeev Soni, we have been able to carve a strong foothold in domestic and international market. Owing to his strong business insight and rich industry experience, we have been able to provide utmost level of contentment to our clients. OSIM has budgeted huge amounts of money for setting up 50 exclusive outlets across India promoting OSIM brand. OSIM India has already opened 20 exclusive company owned showrooms and 59 point of sales in the country in 7 years. These include exclusive showrooms/point of sales in Delhi, Gurgaon, Noida, Ludhiana, Chandigarh, Kolkata, Bangalore, Chennai, Mumbai, Hyderabad, Pune, Indore, Lucknow, Jaipur, and Gujarat. By the end of next year OSIM plans to expand and set up more exclusive showrooms/outlets. OSIM has offices in Delhi, Bangalore, Ludhiana, Pune, Chennai, Mumbai. OSIM has a dream to be present in every state and district headquarters of this country. OSIM has presence in the Shoppers Stop, Home Stop, Home Town and CROMA in all the metros. OSIM India has won the BEST FRANCHISEE AWARD 2006, 2007 and 2008 (for 3 Consecutive years) amongst the 28 Franchisee countries of OSIM International in the Annual General Meetings held in Singapore. OSIM's iDesire (massage chair) has been awarded as one of the Top 5 Gadgets in India in the year 2006. This survey has been done by one of the leading International News Channel "Zee". Runner up for the MOST transparent company AWARD (Commerce) in SIAS investors choice award 2007.
by Planman Media was awarded to OSIM India's iDesire (Massage Chair) as POWER BRAND 2007. Our organization lay special emphasis on the quality of the products, owing to which, we have mustered huge client-base across the national and international market. 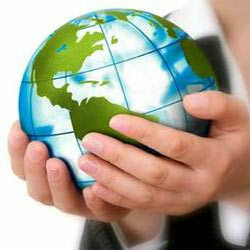 We are committed to improving the health and well-being of our clients worldwide. To order to ensure quality, these products are manufactured with the help of quality-assured raw materials at our vendors' premises. Further, to match up with the industry set norms and guidelines, these products are checked on various parameters by our team of quality controllers. Sports events at Clubs, Conferences and Seminars. OSIM produces superior designs focusing and following ergonomic guidelines along with quality features. 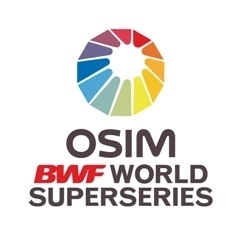 OSIM International Ltd., is fast becoming the global leader in lifestyle and health, related products and is currently operating in 25 countries with over 1000 outlets. OSIM is Singapore's largest manufacturer of lifestyle and health care products. OSIM India has opened 23 outlets in the country in just one year. 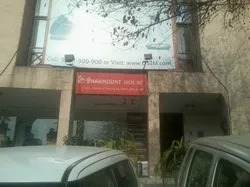 These include outlets in Delhi, Gurgaon, Ludhiana, Kolkata, Bangalore, Chennai, Mumbai, Hyderabad, Pune and Indore. By the end of this year, it plans to expand and set up a total of 25 more outlets. Supported by a team of diligent and dexterous professionals, we have been able to distribute and trade a wide array of products. The consistent efforts and hard work of our team members have helped us to gain maximum patronage across the nationwide market. Well-versed with their respective domains, our team ensures to fulfill the exact demands of customers in efficient manner. We have emerged in the industry as a renowned organization for a comprehensive range of Hair and Back Massager. The range offered by us is obtained from the accredited vendors of the industry, who manufacture these products without compromising with the quality. Owing to our ethical business policies and transparent dealings, we have carved a unique niche for ourselves.